SEA -DAR and Russell Development bought a derelict brick building on Washington Street for development as condominiums. The 19th-century building inhabited one-third of the irregular lot. 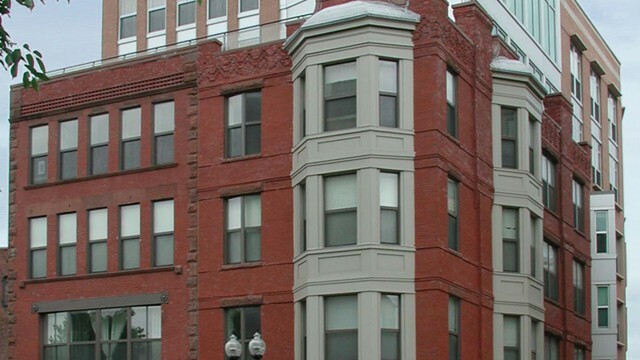 The South End Historic Commission required preservation of the existing facade which would be incorporated into the design of a significantly larger new structure. When Leavitt Associates closed its doors, Scott Payette Architects was charged with taking the project from Design Development through Construction. Located two blocks from the Cathedral of the Holy Cross, this high-end condominium development occupies a prominent position on a major thoroughfare. It is designed to provide exceptional amenities for its residents including penthouses, roof decks, and panoramic views on the upper three levels. At the same time, its exterior appearance meets historic requirements, and includes 16 spacious residential units, parking, and ground-floor commercial space.